Doodles! 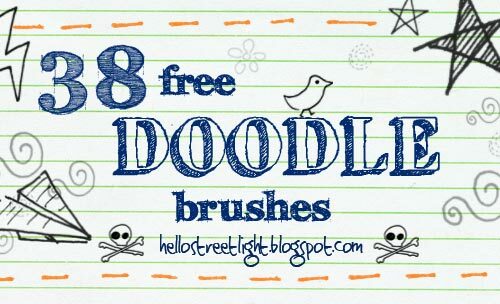 Here are 38 brushes you can use for adding doodles, drawings, designs or whatever you call them on your artworks. It was fun doodling around and it looked pretty good as brushes so I may as well share them with you guys. Hope you like it! 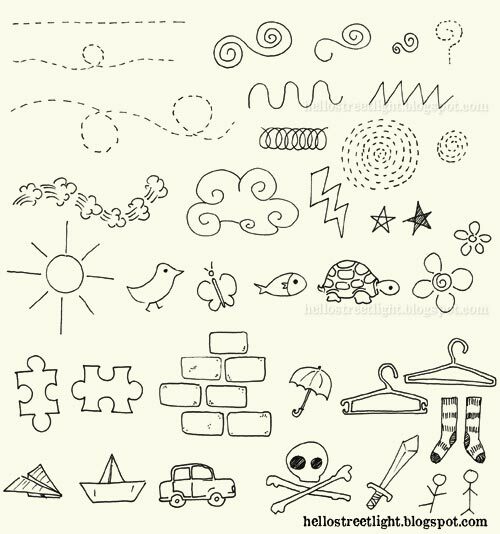 You can use these doodles as borders, especially the dotted ones. Just rotate them using the Brush Tip Shape option found in the Brushes window (Window » Brushes or F5). Change it's angle to 90 degrees or to whatever suits you. Still in the Brush Tip Shape option, you can easily flip the doodle by checking the Flip X checkbox (horizontal flip) or the Flip Y checkbox (vertical flip). Play around with the Scattering option (F5) if you want to use the brushes as designs for your background.